Doodle Crate August 2017 Subscription Box Review & Coupon – PAINTED CANVAS POUCHES! 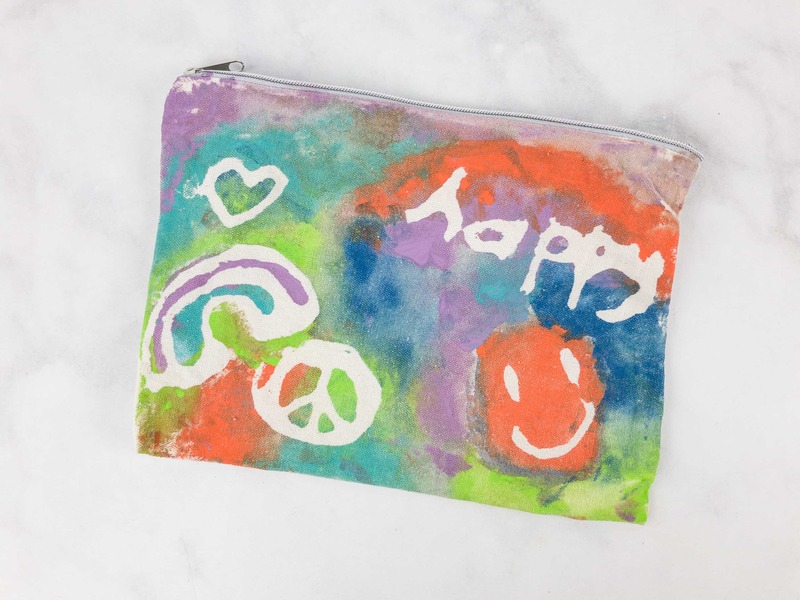 Doodle Crate is a member of the KiwiCo family geared toward kids 9+. 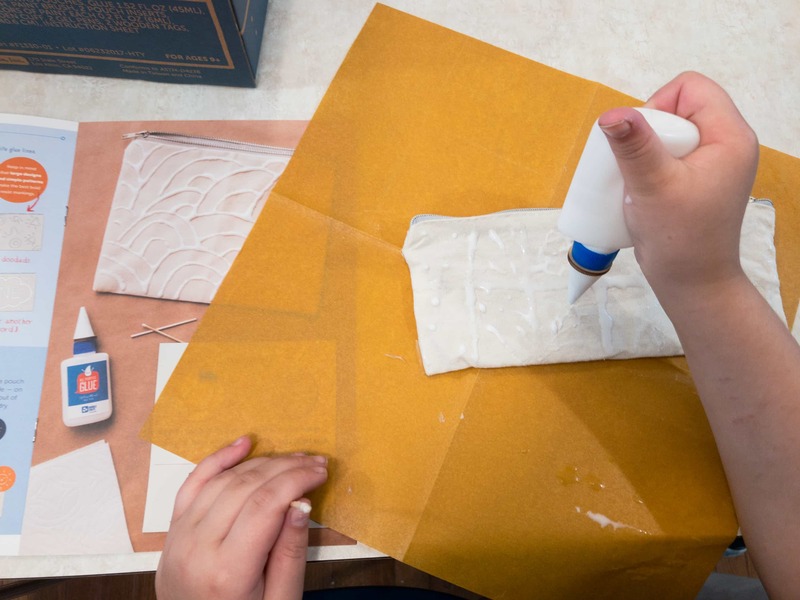 It inspires young makers to learn new skills and gain creative confidence through craft and art projects by teaching them basic and intermediate techniques of a new artistic medium each month. The sky is the limit, and crafts made from the same kit can be kept simple, or they can be made as intricate as the artist desires. Though geared toward kids, Doodle Crate is gender neutral and also excellent for anyone (even adults) wanting a craft subscription. 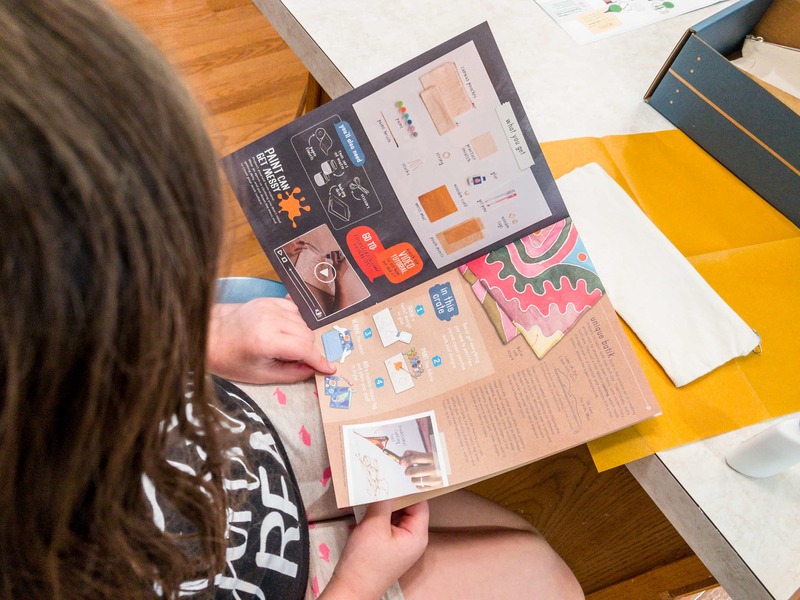 In our experience, this is the best “arts and crafts” box for older kids, tweens, teens, and adults – the end result is nearly always something you will want to save! 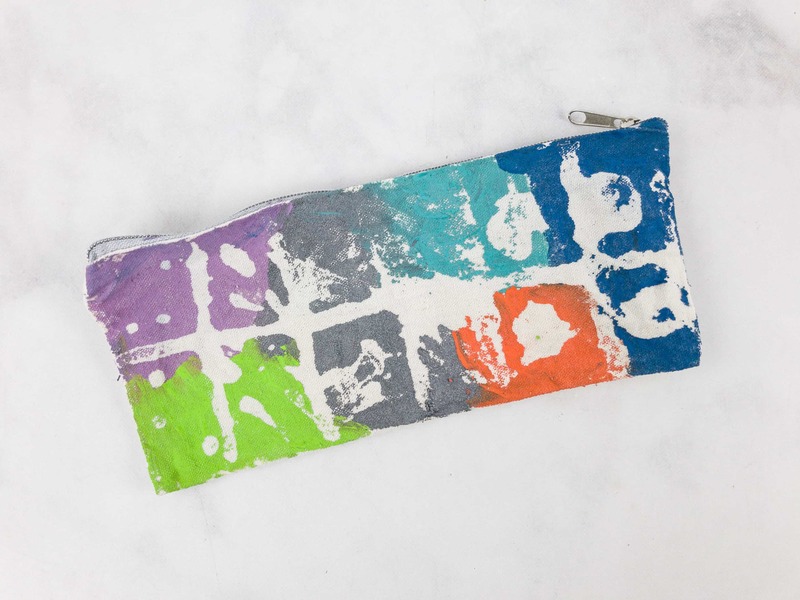 This month’s project: PAINTED CANVAS POUCHES! DEAL: Use this link to save 40% on your first month of Doodle Crate! 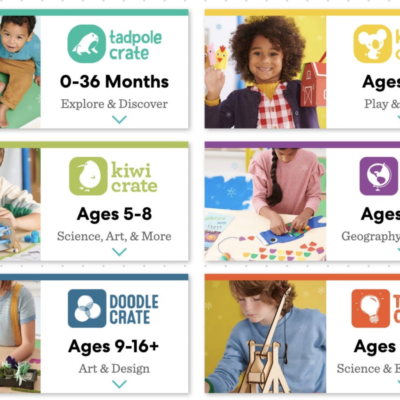 (or Kiwi Crate and the KiwiCo family subscriptions Tinker Crate and Koala Crate). 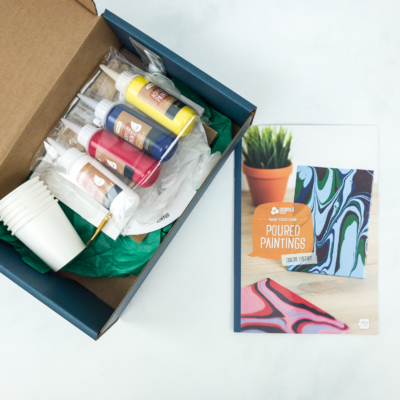 Every crate comes with everything you need to complete the project (except for a few basic items from your home), as well as a booklet. 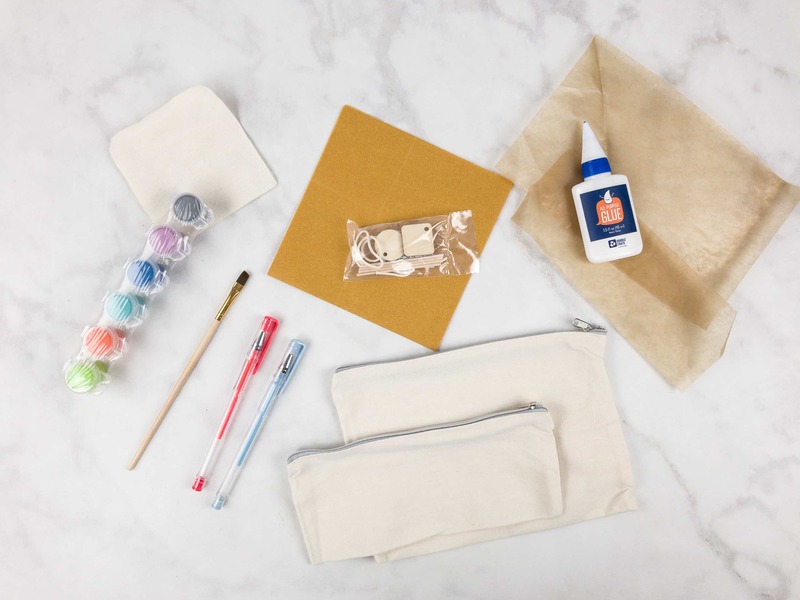 Doodle Crate tends to focus on a single craft and contains only what you’ll need for the project. The booklet has excellent, textbook quality background on the subject matter of the project. Every Crate is a project and a lesson in technique – when your are finished, you should have a usable hand-made item and a new skill. It’s loaded with high-quality pictures and illustrations to both give you ideas and help you along, and they produce a video tutorial for each project, too. Doodle Crate is great at providing perspective and inspiration for their projects, showing examples of the medium in real life settings. 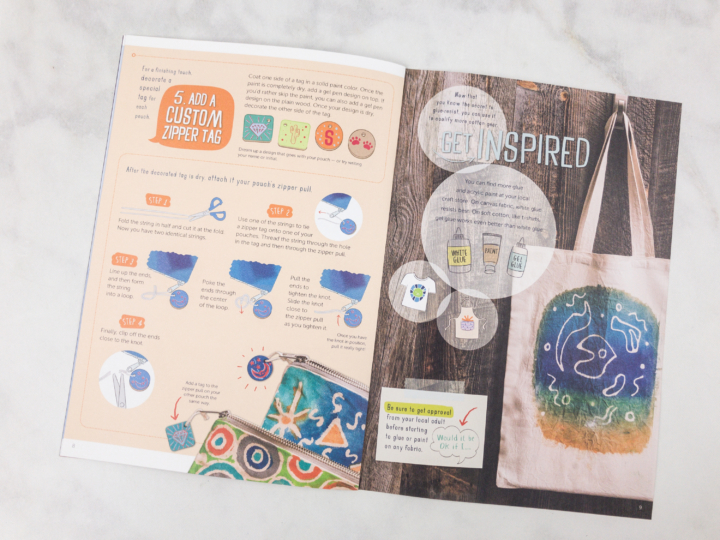 The booklet proceeds step-by-step, from start to finish, with detailed guidance the whole way. The numerous diagrams explain every step clearly and make it practically impossible to go off track. 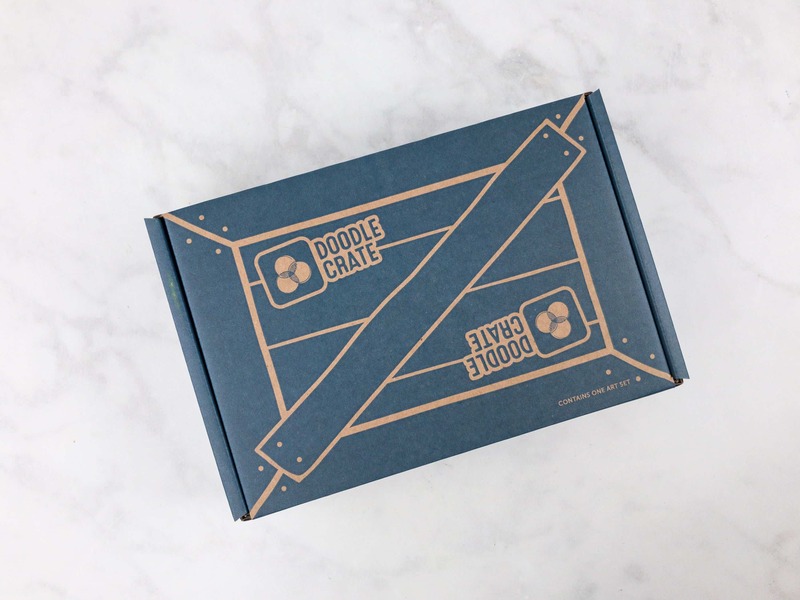 At every phase of the project, Doodle Crate presents several options to bring added personality to your work – and you are always free to do something completely original. After all, it is YOUR creation. The guidance is always thorough enough to allow you to create a polished looking piece. Handy tips are located throughout the instructions, and they always include some options for customizing your work using alternate techniques or additional details.This Crate is suitable for a wide range of ages, and older kids and adults can bring as much complexity to their projects as they want. 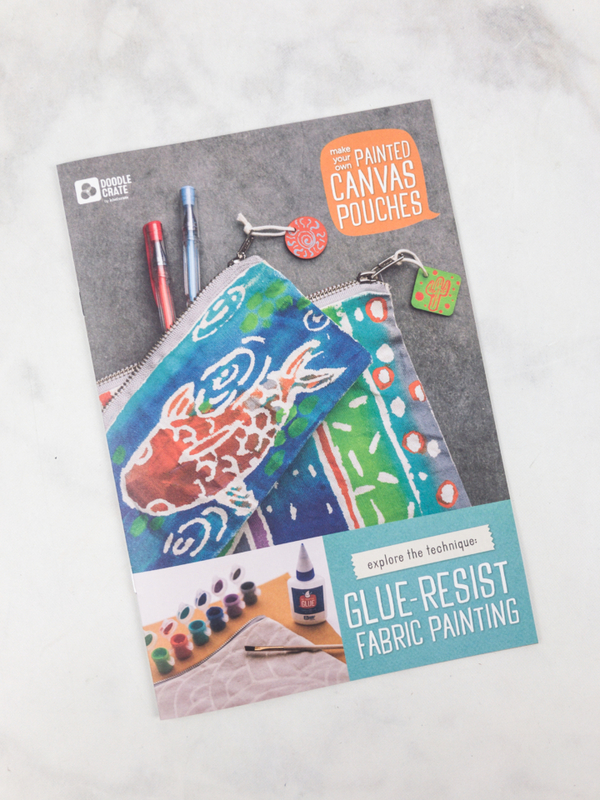 This project came with a small and large canvas pouch to decorate, but the same technique can be used to decorate any kind of cloth item — totes, aprons, or even clothes! My daughter is a big “researcher,” and she likes to digest all of the background materials before getting started. 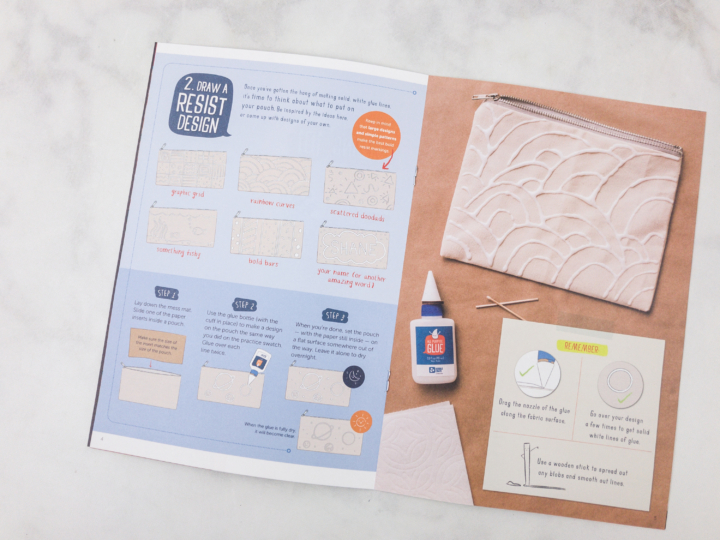 The kit included a test swatch to get a feel for designing with glue before using the actual pouches. A small wooden collar held the glue open just enough to get a steady stream of glue. It was still very easy to over-apply, but it wasn’t a huge deal. On our first try, we ended up with way too much glue, so we just washed it out before it dried and then dried the pouch with a hair dryer. We were ready to try again in minutes! Once the design was dry, we could apply the provided paint. You could paint in between the glued areas, using the glue as borders for your design, or you can paint wildly across the whole surface. If you do the latter, the design appears like magic after you wash the fabric. The small pouch. The design for this pouch was twelve boxes, each filled with various shapes and patterns. The fine lines didn’t remain very distinct, but the large ones held up to the paint pretty well. The larger pouch turned out better, as the more aggressively applied glue made for some very crisp edges. This project had much different pacing than most Doodle Crate activities. The glue wasn’t very susceptible to reworking, so the initial application was, by necessity, very quick. Then the glue needed to dry for several hours. The paint similarly went on quick and required a long cure period, so the craft took a long time to complete, but with much of the time spent waiting for the paint to dry. 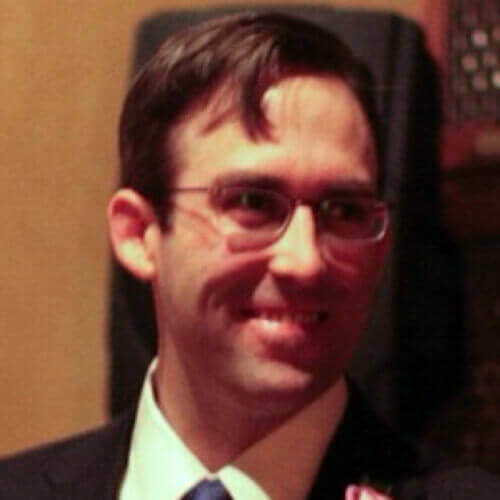 It was a fun activity, but the nature of it made it harder to be start-to-finish engaging. 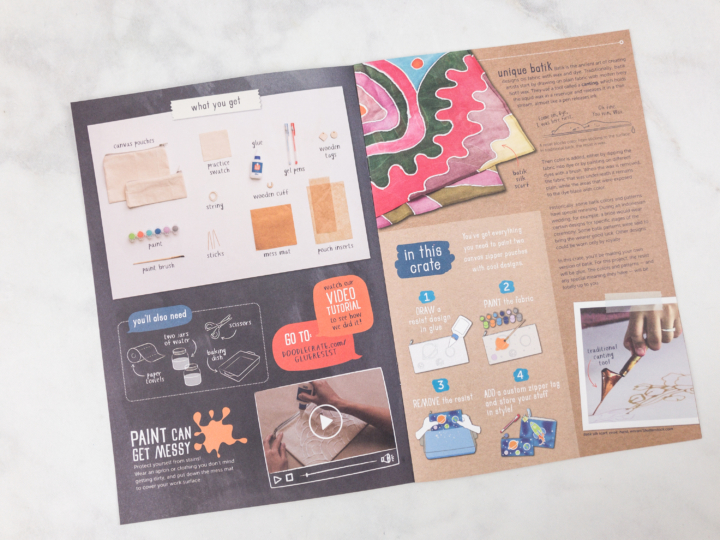 Doodle Crate is a really great project subscription for tweens, teens, and even adults. 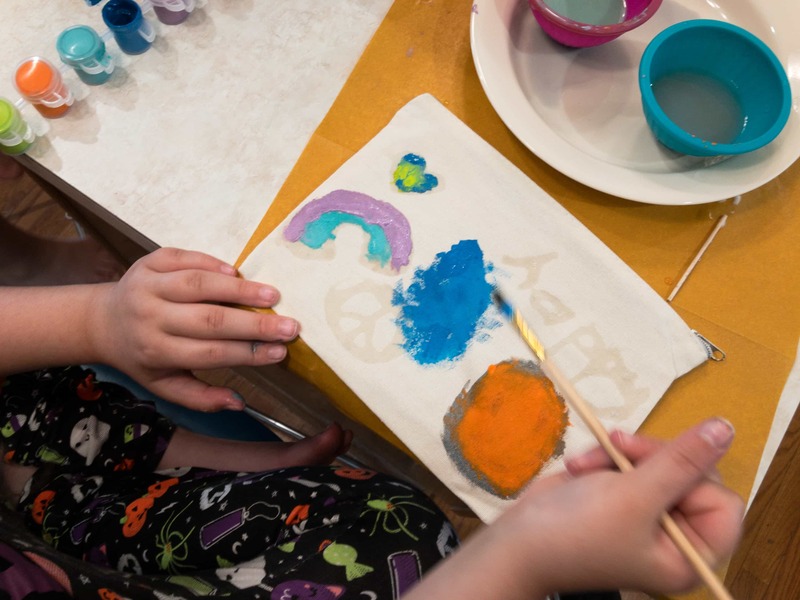 Some projects can get fairly complex, but the thorough instructions and guidance never leave us confused, and most projects can be done by pre-teens without adult assistance. 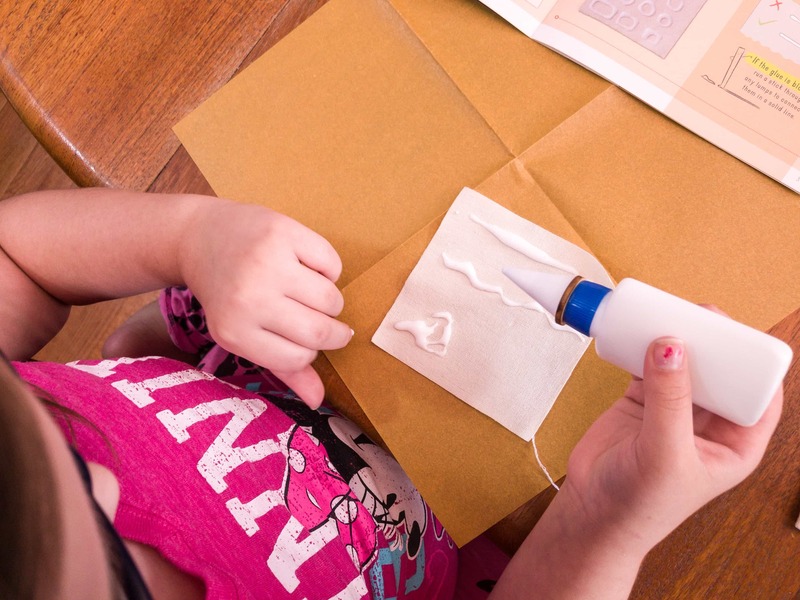 This project was very accessible for kids on the younger end of the suggested age range, but there was also a lot of room to grow in mastering the technique and creating your own variations. As always, the box taught a technique that could then be used to create limitless projects on your own. Did you enjoy this month’s activity? Share to us in the comments! Visit Doodle Crate to subscribe or find out more! 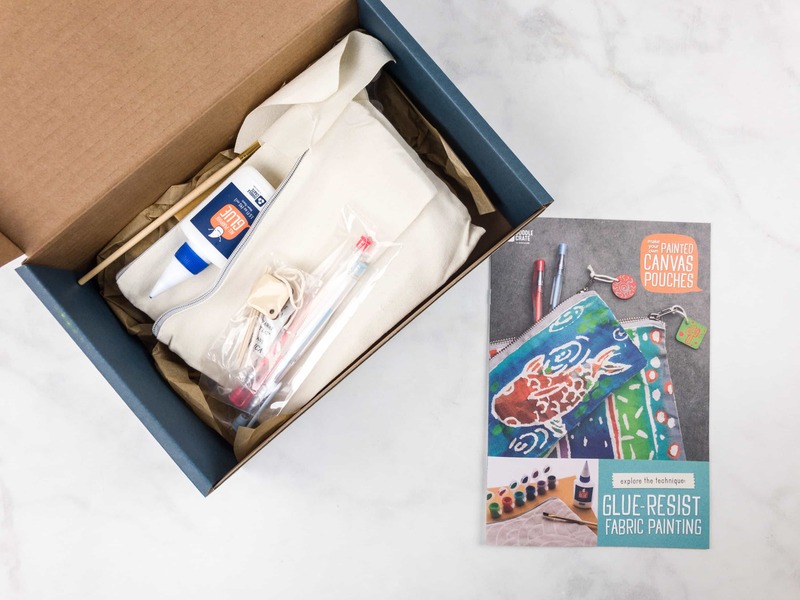 Every crate includes all the materials and inspiration for DIY projects that encourage kids to tackle new challenges and gain creative confidence! 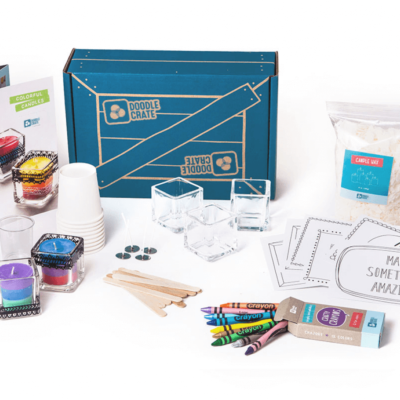 Ages 9 to 16+ This box is also excellent for adults who love to craft and learn new techniques.